This process, just like collaborative negotiation, is also aimed at reaching an agreement outside of the courtroom. However, mediation involves the use of a third-party mediator to streamline the negotiation process between you and your spouse. You can attend the mediation with or without your lawyer. If you choose to handle the mediation alone, remember that the mediator cannot advocate for any party, which is why you need the help of a lawyer. 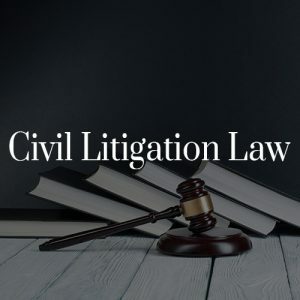 Lawyers come in handy in this process because they help to formalize the process, explain issues and provide supporting documents, which can be reviewed by the mediator in advance. Our legal team comes with extensive experience in handling mediations and will help to ensure that you finalize the settlement. 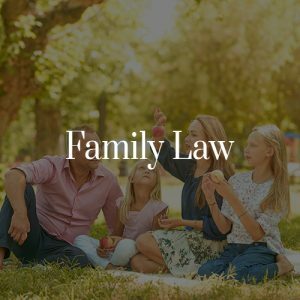 Our family law team consists of established lawyers with many years of experience in resolving contested and uncontested divorces, custody and access disputes, child support, spousal support, division of assets, variation orders, adoption, drafting of separation agreements, prenuptial agreements, and more. Family law disputes often involve tough negotiations, difficult decisions, and a lot of emotions. We understand that family disputes can be very difficult to go through, which is why we ensure that our clients feel comfortable, informed and confident every step of the way. Our family lawyers are among the most experienced lawyers in Toronto, and have successfully argued issues before the Ontario Court of Justice, Superior Court of Justice, and Divisional Court. 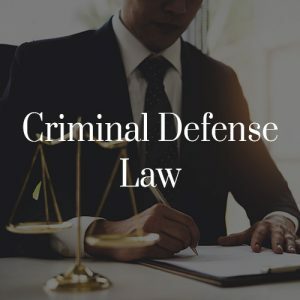 Costa Law uses a team approach, which assures clients ready access to attorneys with varied backgrounds and specific set of skills and experiences. This allows us to manage cases efficiently and reach the best possible outcome for our clients. The collaborative process allows you to explore negotiations leading to a peaceful and transparent resolution. Through negotiations between you and your spouse, you can explore the different concerns that the parties have and be able to achieve your goals and needs. This is an ideal process if both parties are committed not to go to court. 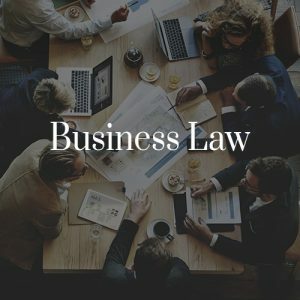 We have a team of collaboratively trained lawyers who will offer the support and legal guidance that fits your family and unique situation. Talk to us today and learn if this is the best option for your family. Similarly, traditional negotiation strives to resolve issues outside of the courtroom. In most cases, the bulk of the negotiation is conducted by the lawyers either in writing or over the phone. They can discuss and represent their clients with the main goal of getting the best possible outcome for their individual client. Sometimes going through the court process is necessary. The court process can be difficult for families, especially when dealing with divorce while emotions are still high. Judges can help to deal with issues which negotiations cannot address. However, negotiation remains an option that the couples can consider along the way. Litigation enables couples to set aside their personal issues and find a middle ground. Family law is the body of law that concerns family relationships, marriages, and divorces. In Canada, family law is primarily statute-based, and the federal government has exclusive jurisdiction to deal with marriages and divorces, pursuant to s. 92(6) of the Constitution Act, 1867. Under the Divorce Act, the federal government also has jurisdiction over disputes that involve spousal support, child support, custody, and access to children. Although the federal government has jurisdiction over many of the issues that arise in family law, some power is left to the provincial governments. The provinces have exclusive jurisdiction over the solemnization of marriage (pursuant to s. 92(12) of the Constitution Act, 1867), property division, adoption, and child protection (under property and civil rights in s. 92(13)). An in-depth knowledge of these federal and provincial statutes and guidelines is necessary in order to deal with various family law issues that may arise. Here at Costa Law we provide unmatched expertise and skill in family law, and can help you achieve a positive legal outcome. Our family lawyers have extensive experience in negotiating and drafting domestic contracts such as cohabitation agreements, separation agreements, and marriage contracts. These domestic contracts are used to settle the disagreements that may arise upon a breakdown of a relationship or a family. It is important for couples to obtain legal advice prior to entering into a domestic contract in order to fully understand their rights and obligations as per that contract. An uncontested divorce is one where the spouses agree on all the issues raised by the divorce. Where spouses agree on the issues, court officials will generally process the divorce without requiring the spouses to appear in court. When the divorce is granted, the court mails a divorce order to each spouse. On the other hand, contested divorces are ones where the spouses disagree on some or all of the issues raised by a divorce. These issues may include child and spousal support, division of financial assets, etc. In a contested divorce, both parties must file court documents with their respective positions on the issues in dispute, after which the court will review the documents, and instruct the parties of the next steps. When parents are going through a separation or divorce, it is important to work out a parenting arrangement, so that their children are cared for and supported. A family lawyer can assist in preparing the terms of a parenting arrangement, such as where and when the children will reside, and who will be responsible for making important decisions in relation to their health, wellbeing, and schooling. Children have a legal right to receive financial support from their parents upon separation or divorce. Parents can either agree on the amount of child support to be paid or ask a court to decide what amount of child support is appropriate. The court uses the relevant Federal Child Support Guidelines, and considers the parents’ financial situation in order to determine child support payments. Under the federal Divorce Act, spousal support is most likely to be paid when there is a significant difference between the spouses’ incomes after they separate. Nevertheless, a court may always decide that the spouse with the lower income is not entitled to support if that spouse has a lot of assets, or if the difference in income cannot be traced to anything that happened during the relationship. 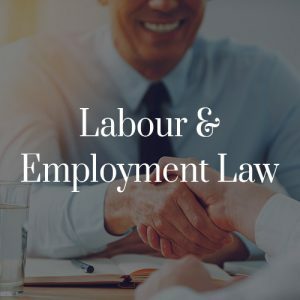 Under provincial law, a common-law partner may be eligible to receive spousal support depending upon the length of the relationship prior to separation. 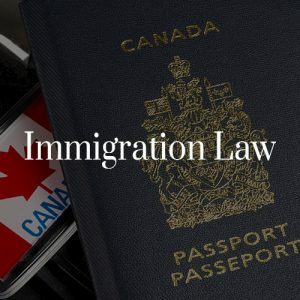 Canadian provinces and territories have reciprocal arrangements with one another to enforce support orders in family disputes. Under the Ontario Inter-jurisdictional Support Orders Act, 2002, a family support order filed by one spouse may be registered and enforced in another province or territory, where the other spouse resides. The same is true for support orders from other countries with which the province or territory has a reciprocal arrangement. A marriage can be ended through annulment or divorce. In annulment, the marriage is completely erased or canceled by declaring that it never existed or was never valid. A divorce, on the other hand, is where a valid marriage is ended allowing the man or woman to go back to single status and remarry. There are unique laws that must be followed in both annulment and divorce cases. A man or woman can initiate an annulment if they clearly state the grounds, and prove that they have met the requirements to do so. If the annulment can be proven to be valid then the court can consider the marriage to be null and void. There are several grounds for annulment such as bigamy (if the person was already married to another person), forced consent, fraud, mental illness, and mental incapacity. The law entitles a child’s natural parents to have full custody. However, there are certain circumstances where the welfare of the child is at stake and the government intervenes. The government assumes the important role of a parent either temporarily or permanently, and takes measures to protect the child. Child protection may be required in different circumstances, such as if the child has suffered or is likely to suffer physical harm by the caregiver, the child is sexually abused, requires medical treatment which the parent, or the caregiver has refused to consent or is suffering serious emotional harm, has been abandoned, or if the parent is unable to take care of the child. Variation orders come in handy after separation when you feel that the court order or agreement no longer meets your needs. You may also seek a variation if your ex no longer follows the order, or had asked for the variation. 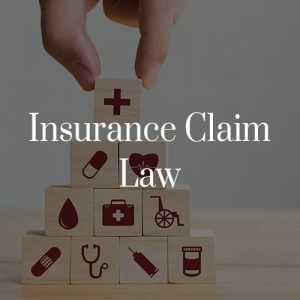 For your spousal support variation to be accepted, the judge must evaluate your case and find that there is a material change in circumstances. Examples of circumstances where changes to spousal support orders may be approved include: when there is an increase in the payor’s income, a remarriage, or new child in the family. If support payments are not made on time, families may strain financially. Approaching a family lawyer who can assist with support arrears and enforcement proceedings should be your next step. Several steps can be taken to ensure the support payments are paid such as suspending the person’s driver’s license, revoking passports and collecting any payments that have not been made. When you work with an experienced family lawyer, you’ll be informed of your rights and take steps to ensure that you receive the money that a court directed be paid to you. We can help you navigate the system and get justice. During separation, it’s common for one parent to turn the child against the other. This is an unfortunate situation that is common in a contested divorce. The alienated parent and child can experience serious emotional struggle. It is important for children to have a positive relationship with both of their parents, which is what we strive to achieve for our clients. We’ve handled many cases that involve child brainwashing and parental hostility. We can help you understand your legal options and re-establish a positive relationship with your kids after separation. After working long and hard to build a successful business, a divorce can result in huge financial losses. 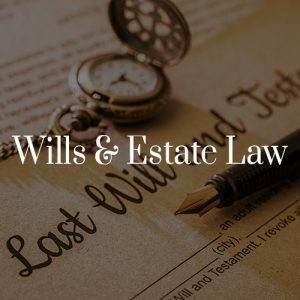 As lawyers, we have represented business owners going through the process of divorce by making sure their investment is safeguarded during a divorce settlement. We can help you preserve your business by working closely with you to review all of the relevant documents and make sure the company’s value is determined fairly. We’ll negotiate to ensure you get a proper settlement that will keep your business intact, even after the separation is complete. We know when to put up a fight, and when it’s time to compromise. Has your child been abducted or wrongfully removed and retained in a different country? Sound legal advice is crucial if you want to get your child back. International child abduction cases are complex, and you need to speak to an experienced family lawyer to help you understand your legal options and ensure that your child is safe and comes back to you. If your child is abducted locally, the first course of action is to contact your local law enforcement. As the parent, you are required to keep all the written documents, such as your separation agreement, easily accessible. These documents will help you confirm that you have been awarded custody of the child. When a relationship ends, there could be assets, property or debt that was acquired by both parties, which can lead to a serious conflict in the separation process. 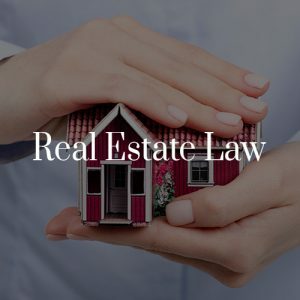 There are different rules that govern property division, depending on whether the parties involved were in a marriage or common law relationship. For married couples, the property may be required to be shared equally (a process known as equalization) even though there are certain exceptions. It’s important to get legal advice from an experienced and knowledgeable family lawyer with a deep understanding of how property division works. A good lawyer should help to protect your financial future during this emotional time. Adoption is a viable alternative in different circumstances, such as if one or both birth parents are facing significant hardships and are unable to take care of their child. The aim of adoption is to ensure that the child will be embraced in a loving home where he/she can be taken care of properly. There are different ways in which a child can be adopted, such as by an immediate family member or stepparent, through a child society, through an adoption agency or licensed individual, or licensed international adoption agency. As lawyers, we help individuals to facilitate the adoption process. Many fathers go through emotional turmoil as they fight to get equal parenting rights. As lawyers, we understand the struggles that fathers in Canada in the family law system may face. Our goal is to help safeguard men’s rights, and protect the interests of children. Both mothers and fathers should have equal parenting rights. We have seen cases where parents turn their child against each other. These unfortunate events affect fathers more than anything, and could lead to emotional issues. If you are a single dad who is seeking custody and access, speak to our family lawyers today for help. This is a case that occurs when the mother knows, or has good reason to believe, that the father of her child is truly not the birth parent. However, some parents make this claim in order to mislead the named father and ensure that they don’t have a chance to be in the child’s life. If this is the case and then the father could suspect paternity fraud and seek legal counsel to address his concerns. Our lawyers can take on the case and conduct DNA testing. If the father suspects that he is not the biological father and wants to cancel an existing support order, we can help.